The thing we like the most about WordPress here at Siamcomm is how easy it is to empower the platform with endless new features, all thanks to the plugins that are available. There are around 38,000+ free plugins available and thousands more premium ones available. There is practically a plugin available for everyone’s needs as well as budget. If you decide to take a look online for tricks, tips or hacks relating to WordPress, you will no doubt end up on an article which covers a list showing popular plugins which will give you exactly what you are looking for. In fact, it is quite hard to find blog posts on WordPress hacks which don’t include any plugins in it! 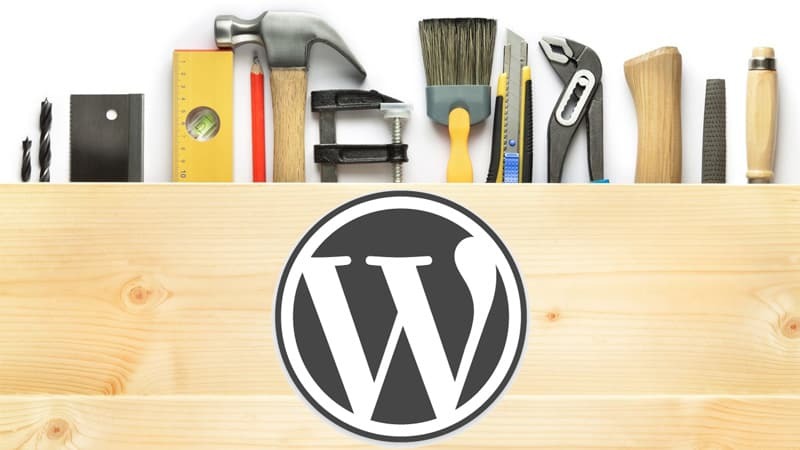 Plugins are very powerful tools, however, they are not always needed to enable specific features because the WordPress platform can do some pretty amazing things by itself. So the question is this: How many cool features can you enable on WordPress without the use of any plugins? Below is a list we have put together that show you the best code snippets (or hacks, you can choose) which you can start playing with straight away and find for yourself that you do not always need to use plugins. Please Note: The following code inputs may break your website. Please make a backup before you start testing them for yourself. Reinforcing your brand communication is just the first tweak that you can do without the need for installing plugins. Now you need to place your logo of choice into the wp-images folder and name it admin_logo.png and that’s it! It is very important that you keep your WordPress site secure. Fortunately there is one thing that can help to make a hackers life a little more difficult: Not providing any detailed error messages on the login page. You can disable these warning messages by copying the following code and pasting it into your functions.php file. By doing this you will no longer show any useful tips and hints that may be exploited by a hacker. By default, you will be kept logged in for 2 weeks once you have checked the “remember me” option when you log in. You are able to change the expiry date of the authorization cookie; just replace the “31556926” with the time span of your choice. Just type your new message as the 2nd element in the $newtitle array, then you are done. Be creative here so that you can impress your client and make them smile! Just choose a number which works for you and replace it with the 3. If you wish to completely disable the storage of revisions and have them autosave instead, just add “-1” instead. This is very useful for allowing time to make final checks and ensure there are no typos or any broken links. You can edit the “60” with a number that better suits you. This also works the other way round, so you can also increase the interval between auto-saves. Just change the “45” above to whatever suits you. By doing this, generic and uninformative titles become valuable by providing the exact amount of articles which are related. For example “WordPress Hacks” – 10 articles. By having the ability to exclude certain categories from your results page, you will be able to improve the quality of info that you deliver to your readers. This can be used on your blog to allow users to just browse and search for your single posts, missing out all the pages that they have no interest in. See? There is no need to install any new plugins to make any of the changes listed above. Very cool right? It might be easier to just find and install a simple plugin but plugins can quickly pile up and make your website slow and clunky. So you may want to only install the ones that are crucial to running your website. Hopefully the above list is not too exhaustive. We would love to hear any comments that you may have, or any additions you would like to see in the above list.